Shahid made his way into the hearts of the audience with his charming looks in films like Ishq Vishk, Vivah. It’s his passion for acting that makes Shahid Kapoor push himself as a performer, but he is also aware of the fact that taking too many risks as an actor is “illogical”. Shahid made his way into the hearts of the audience with his charming looks in films like Ishq Vishk, Vivah and startled everyone with his performance in Kaminey, Haider and Udta Punjab. “It is illogical to keep taking risks and doing different things but there is a need to rediscover yourself every time. Today, audience wants different things,” he said. “I want to grow and reach out to a wider audience. I want to tell stories that are new, different and exciting without having to sacrifice on any creative cravings that the team might have. It is a tough combination,” he added. The actor said the continuous media glare and scrutiny does not bother or scare him. The actor added he is aware about the pros and cons of the paparazzi culture. “If I don’t post the pictures of Misha, somebody will click her and that is my reality. I wish I could draw a line… I would have drawn it long back. People should draw a line. Shahid and his wife Mira have been blessed with their second child a baby boy. 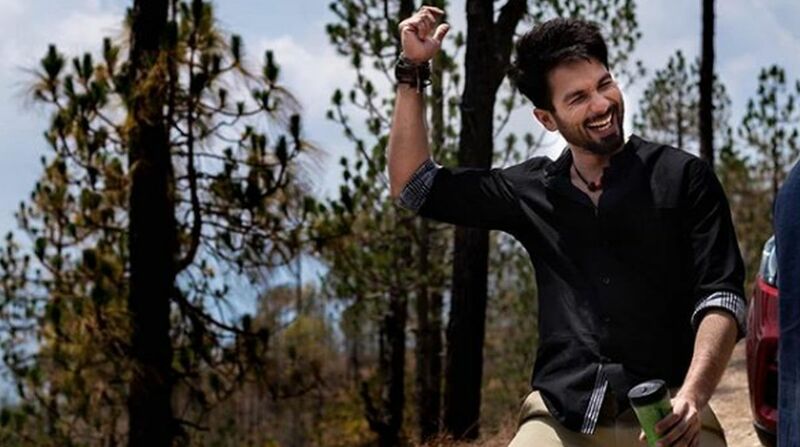 On the professional front, Shahid is looking forward to the release of Batti Gul Meter Chalu and will soon start working on the Hindi remake of Arjun Reddy and a film with Airlift fame director Raja Krishna Menon.